There are two recipes, one from the Mincedmeat of Lamb/Beef, the other is with Chicken mince. I have always heard it’s such a fuss when it comes to making shaamis. Either they are too dry or they are too watery and soft. It all depends how you cook the mixture from the start and what spices you take. How you dry it and what is the correct ratio for it.. So let’s start; I use half beef half lamb because only lamb meat is too dry, and only beef is too greasy, so half makes a good combo. 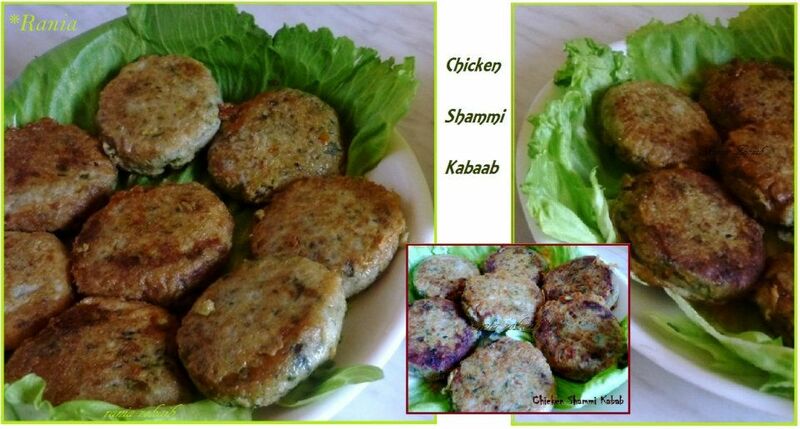 Tip: Never put cloves and cinnamon, as that affects the exquisite smell of the shaami kababs!!! Cinnamon has a very ruling aroma! *I don’t take much water as the mince leaves its own too and there is where you have difficulty in stirring it dry! * When the daal is done, cook on a high flame to dry the rest water. *Don’t dry each drop, there has to be some moisture to bind it. *If in case it gets too dried up, the patties will break. As the mixture is ready turn it over on a flat tray so it can cool a bit and then grind it but take care NOT to grind it too much into a paste form it should be a bit coarse!!! 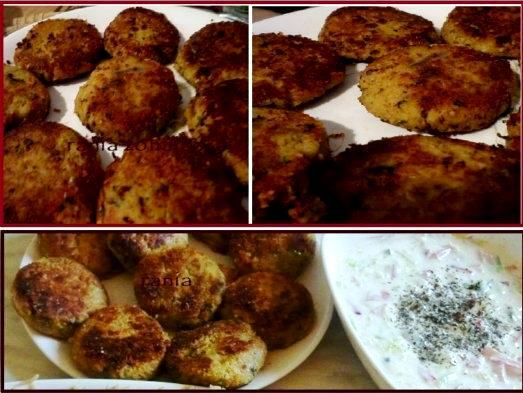 I sometimes also fill in the shammi with all the green masala and ginger like the shikum pur instead of mixing it in, and that tastes very good too, depends the way you like it. Make flat patties; dip in a beaten egg white and shallow fry. We exclude the egg yolk because that gives it an Omelet’s taste : ) You will see the difference when you only use the egg white. I drizzle 2 drops of milk so it gives them a nice gold color. I make the chicken shaami, but never added potatoes to the mixture, so as my dear friend Aisha Nadir Shah, made them, I wanted to try and see how they taste. I must say they taste really nice, soft yet firm, don’t break, because the potatoes starch holds it firm. I used chicken meat instead of beef..Worth trying them!!! -add all the chopped green masala, onion & egg. 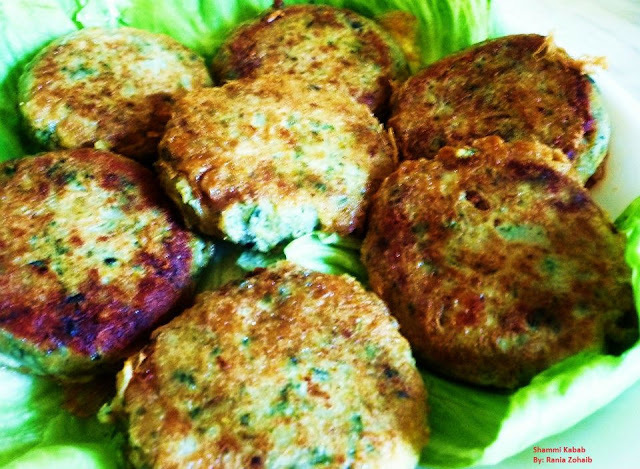 -make small patties & shallow fry them on medium heat.